Particles is an installation by Japanese artists Daito Manabe and Motoi Ishibashi created in 2011. In it, wirelessly controlled illuminated LED light balls travel through an 8-spiral shape rail, imitating a rollercoaster ride. The position of each ball is determined via total of 17 control points on the rail. Every time a ball passes through one of them, the respective ballʼs positional information is transmitted via a built-in infrared sensor. 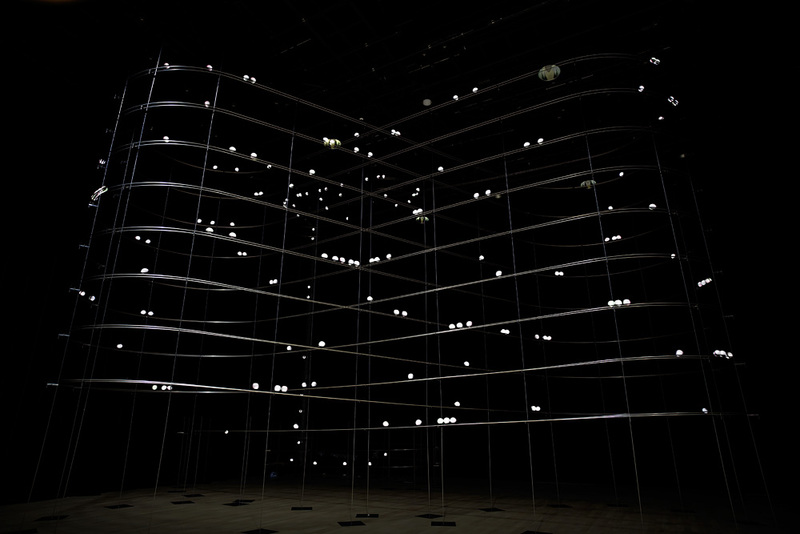 Sound is generated via digital synthesis every time the ball passes through one of these check points – the luminance information of the ball’s LED pattern is picked up by the sensor and is being translated to midi parameters to produce sounds that are played through 8 channel speakers. In fact, the movement of the balls, their speed and the way they flicker is the score of this generative piece. 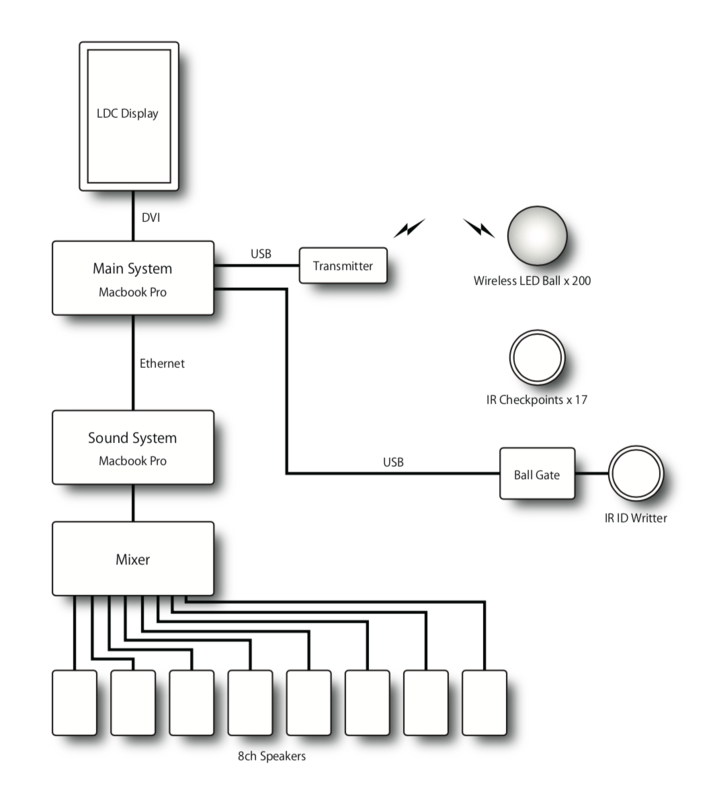 A touch screen UI allows the user to interact with the system. By using it he can change the LED lights patterns through time, changing in effect, the characteristics of the sounds, its rhythm and other properties. I find the use of movement and light manipulation as a mean to produce notations for a sound in this piece extremely interesting. Balancing the control that the observer has on the system with nature’s randomness makes an interesting piece to watch, both visually and sonically.